J.B. Spins: What Still Remains: Where are the Zombies When We Need Them? What Still Remains: Where are the Zombies When We Need Them? If you think this post-apocalyptic world looks bad, just imagine what the zombies are like. 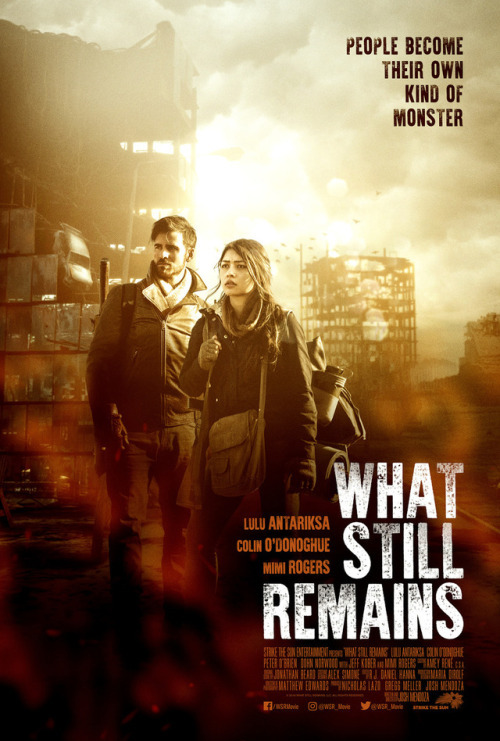 Supposedly, there are still some of them out there, but the most pressing threat comes from other people in screenwriter-director Josh Mendoza’s What Still Remains (trailer here), which opens this Friday in Los Angeles. Anna’s mother is dying, but at least it is from natural poor health. When her brother is killed by a psychotic berserker stalking the family, Anna is left all alone. She is tough, but she recognizes reality, so when the seemingly decent Peter offers her refuge in his community, she accepts. Unfortunately, his authoritarian, ultra-Christian colors start to come out during the trek from her cabin to his compound. To be fair, stepping in a bear trap tends to bring out the worst in people. Nevertheless, there seems to be something a little extreme about Peter. She is also not comfortable surrendering her firearm at the Gates of Zion, so to speak. She is right to feel that way, especially with the freaky berserkers making noise out there. Honestly, Remains is so derivative and stilted, watching it is just a fruitless chore. Here’s the takeaway: people are bad, especially the Christian ones. The end. We get that after the first act, but Mendoza keeps driving the point into the ground, over and over again. Genre fans will also be disappointed by the way the film references zombies, but never actually shows one. It is really a shame Remains craters so completely into tedium, because it wastes a terrific star turn from Lulu Antariksa as Anna. The TV thesp definitely proves she can carry a feature—now she just needs a worthy project. To give all due credit, Colin O’Donoghue and Jeff Kober are strong screen presences as Peter and his mentor Zack, but it is hard to watch Mimi Rogers’ cartoonish intolerance as Judith, the camp matriarch. Remains is a below-average film that wears its prejudices on its sleeve. Once again, we are basically told human nature is so inherently bad, we basically deserve the apocalypse. Speak for yourselves, humanity-hating genre filmmakers. 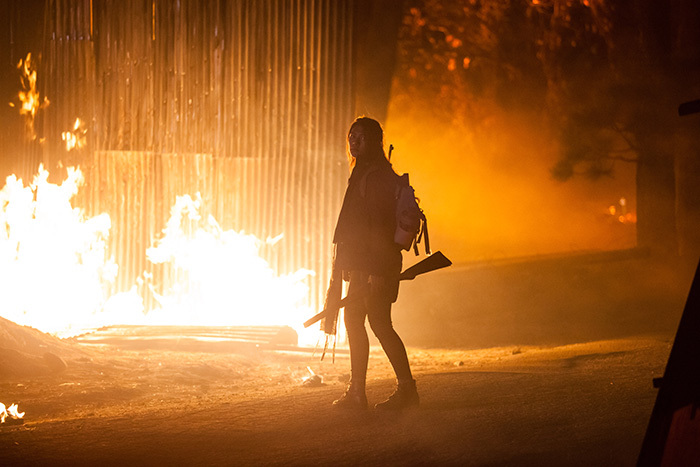 Not recommended, What Still Remains opens tomorrow (8/10) in LA, at the Laemmle Music Hall.